Ritz-Carlton Hotel Company is set to unveil its first property in New Zealand, with The Ritz-Carlton, Auckland anticipated to open in 2019. 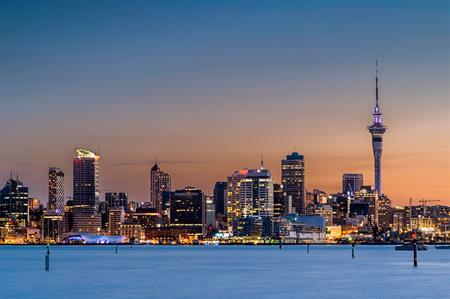 The hotel will bring 300 rooms to the heart of downtown Auckland, while offering sweeping views of the city’s famous twin harbours. The property will consist of two fine dining restaurants, a street-level café, and two grand ballrooms, in addition to the hotel brand’s renowned Presidential and Ritz-Carlton Suites, where guests can enjoy the views from a private terrace. Herve Humler, president and chief operating officer, The Ritz-Carlton Hotel Company, said: "We have long desired to bring The Ritz-Carlton to New Zealand and we’ve patiently waited for the right partner and opportunity that will create a showcase worthy of this world-class city." Auckland is fast-becoming one of the key incentive destinations in Oceana with some of the best countryside and natural beauties the planet has to offer, right on the doorstep of the city centre. Accessed by helicopter, Waiheke Island invites private tours to its vineyards, while Haruaki Gulf Marine Park offers an array of acitivities across 1.2 million hectares of coast, sea and islands.